Frank Guastella Anderson, MD, completed his residency and was a clinical instructor in psychiatry at Harvard Medical School. He is both a psychiatrist and psychotherapist. He specializes in the treatment of trauma and dissociation and is passionate about teaching brain-based psychotherapy and integrating current neuroscience knowledge with the IFS model of therapy. Dr. Anderson is the vice chair and director of the Foundation for Self Leadership. He is a trainer at the Center for Self Leadership with Richard Schwartz, PhD, and maintains a long affiliation with, and trains for, Bessel van der Kolk’s Trauma Center at Justice Resource Center in Boston, MA. 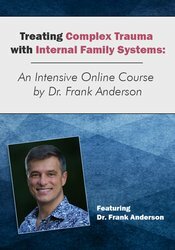 Dr. Anderson has lectured extensively on the Neurobiology of PTSD and Dissociation and wrote the chapter “Who’s Taking What” Connecting Neuroscience, Psychopharmacology and Internal Family Systems for Trauma in Internal Family Systems Therapy-New Dimensions. 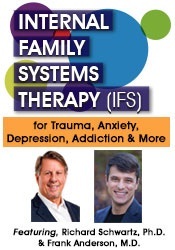 He co-authored a chapter on “What IFS Brings to Trauma Treatment in Innovations and Elaborations in Internal Family Systems Therapy” and recently coauthored the Internal Family Systems Skills Training Manual. Dr. Anderson maintains a private practice in Concord, MA, and serves as an Advisor to the International Association of Trauma Professionals (IATP). Financial: Frank Anderson maintains a private practice. He receives a consulting fee from the Center for Self Leadership. Dr. Anderson receives a speaking honorarium from PESI, Inc.